What do excellent projects such as “The Walking Dead,” “Once Upon A Time,” “Growing Up Smith,” and “Miracles From Heaven” have in common? They are all fan-favorite and terrific projects that the wonderful actress Brighton Sharbino has been a part of. Brighton Sharbino is one incredibly talented, young lady who has and continues to do such a brilliant job in any and every project that she takes on. She shows her versatility as an actress as she can portray any role and leave us all amazed. She exhibits her fantastic talent in any genre – we can be at the edge of our seats watching her in the renowned show, “The Walking Dead” or enjoying some young love in her movie, “Growing Up Smith,” which is set to release in March 2017. In fact, Brighton also has a lot of other exciting projects up her sleeve including another new movie coming out in the new year which has just recently been announced to be screened at the one and only Sundance Film Festival. Brighton Sharbino is truly spectacular and we always love seeing her on both the big and small screens. I, Alexisjoyvipaccess had a great time at PMG’s gift-wrapping event with Hasbro and GenerationOn and had an excellent time interviewing the amazing Brighton Sharbino at the event. Brighton Sharbino dished exclusively to Alexisjoyvipaccess all about what upcoming projects she is working on that fans can look forward to, what is her favorite role she has portrayed thus far, and so much more only in our VIPAccessEXCLUSIVE interview. 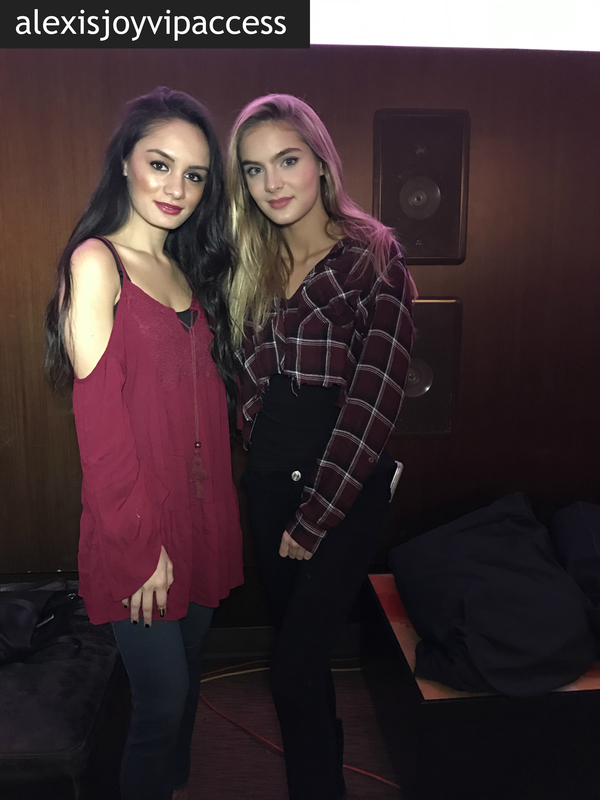 Brighton Sharbino even took on a fun speed round and spilled on what is the best holiday gift she has ever received, what is her favorite song at the moment and more – hear what she had to say in our VIPAccessEXCLUSIVE interview below. Thanks for the fun interview, Brighton! Check out my VIPAccessEXCLUSIVE interview with the exceptional Brighton Sharbino at PMG’s gift-wrapping event with Hasbro and GenerationOn below! Previous VIPAccessEXCLUSIVE: Kaylyn Slevin Interview With Alexisjoyvipaccess At PMG’s Gift-wrapping Event With Hasbro And GenerationOn! Next VIPAccessEXCLUSIVE: Aidan Gallagher Interview With Alexisjoyvipaccess At PMG’s Gift-wrapping Event With Hasbro And GenerationOn!